The Best Western Plus Westheimer-Westchase Inn & Suites in Houston, Texas lets you relax and focus on the people and experiences you came for. We're conveniently located off the Beltway 8 in the Westchase District near the Galleria Mall. Our prime modern location puts us near many of Houston's top companies. There is a large variety of restaurants to choose from nearby. From: George Bush Intercontinental Airport. Continue to Hardy Toll Road. Take Sam Houston Tollway W to W Sam Houston Parkway S. Take the exit toward Westheimer Road/Richmond Avenue from Sam Houston Tollway W. Take Westheimer Road to Hayes Road. The Best Western Plus Westheimer-Westchase Inn & Suites is just ahead. From: William P Hobby Airport. Get on Sam Houston Tollway W from Telephone Road. Follow Sam Houston Tollway W to W Sam Houston Parkway S. Take the exit toward Westheimer Road from Sam Houston Tollway W. Take Westheimer Road to Hayes Road. The Best Western Plus Westheimer-Westchase Inn & Suites is just ahead. 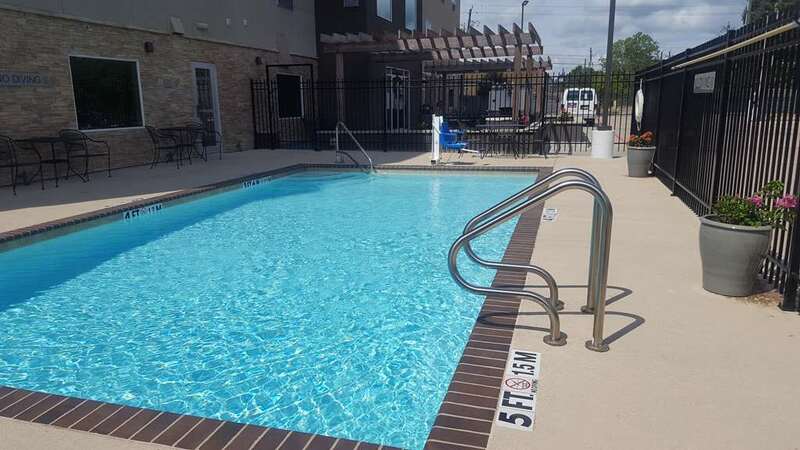 4 mile(s) from CityCentre, is a mixed-use development in the Memorial City district of Houston, Texas, located at the southeastern corner of the intersection of Interstate 10 and Beltway 8. 5 mile(s) from Memorial City Mall, is a large shopping mall in Houston, Texas, United States. It is approximately 11 miles west of downtown Houston at the intersection of Interstate 10 and Gessner Road.